There’s been dramatic progress in life science technologies over the years, yet the fundamental goal of the Bio-IT community remains the same — to make the most of data and computing to advance medicine. Since 2002, Bio-IT World has played an integral role in this, bringing together clever, innovative people from all areas of life sciences for expert commentary and industry insight. The 2017 event brought together more than 3,400 attendees from 35 countries to make connections and forge collaborations across the life sciences. Next year promises to be even better. 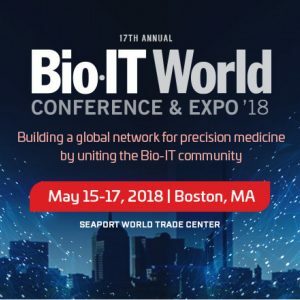 With 16 tracks, 14 pre-conference workshops, and three industry awards, the 2018 Bio-IT World Conference & Expo will offer more opportunities to build the relationships that drive the Bio-IT industry forward.